Here are the top hotels for your Snowy Range ski trip! 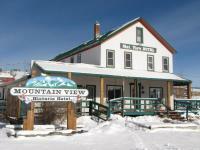 Dating from 1907, this quaint hotel is 5 miles from Snowy Range Ski And Recreation Area and 26.3 miles from Bamforth National Wildlife Refuge. Casual rooms have flat-screen TVs, microwaves, minifridges and coffeemakers. Some offer claw-foot baths, pillow-top mattresses, rustic furnishings and/or mountain views. Suites add fireplaces, multiple bedrooms, separate living and dining areas and/or pull-out sofas. 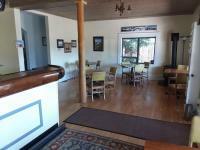 Amenities include a porch, plus a cafe-style restaurant open for breakfast and lunch. Dating from 1872, this Old West-themed hotel is 5 miles from the Snowy Range Ski And Recreation Area and 26.4 miles from Bamforth National Wildlife Refuge. 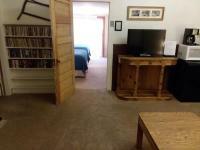 Guest rooms and suites offer mountain views, log-style furnishings, satellite TV, minifridges and free Wi-Fi. Amenities include a steakhouse-style restaurant, a game room, a movie room and a gift shop. Connected to the UW Conference Center, this contemporary hotel is less than 2 miles' drive from downtown Laramie. All rooms offer custom-designed beds, plus flat-screen TVs with premium cable, microwaves, minifridges and free Wi-Fi. Executive rooms and suites add separate living areas. Suites have whirlpool tubs. A cooked-to-order breakfast is available (fee) and there's an on-site American restaurant, as well as a bar and a 24/7 pantry. There's also a fitness center, an indoor pool and a kids' pool.